Green technology is big business nowadays, and it is only a matter of time before green cars become ubiquitous features of city streets all around the world. Some of the more impressive entries into the field are the Chevy Volt and the Nissan Leaf, both of which offer features and capabilities that make them sensible automobile choices for today's environmentally-concerned driver. In this comparison article, we compare the strengths of each. 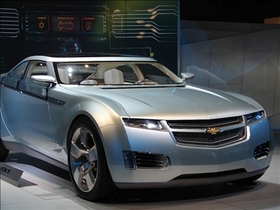 The Chevy Volt is an electric car that has been referred to as an "extended range electric vehicle", although it is more accurately referred to as a serial hybrid. In any case, the Volt can go up to 40 miles on a single charge of its lithium ion battery pack, without any emissions. The Nissan Leaf is another electric car, and it is slightly reminiscent of Toyota’s Prius. With a five-seat capacity and a distinctively modernist shape, the Leaf follows in the mold of similarly designed "green cars". The Chevy Volt is equipped with a battery, although when it runs down, a small gasoline engine that provides power to an electrical generator starts up. The combined mechanism of the car allows drivers to go for up to 340 miles, which goes a long way in easing concerns about range. 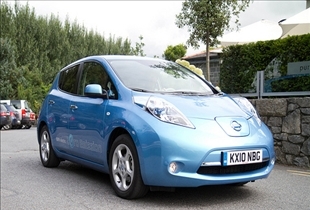 According to Nissan, the Leaf can go up to 100 miles on a single charge. Much like many other electric vehicles currently on the market, it provides fairly respectable acceleration, with power immediately transferred to the car's wheels. That being said, the Leaf isn't quite as silent as other EVs, although it does drive and handles pretty much like any other compact car. The Chevy Volt features a sporty and modern exterior design that is decidedly futuristic, although we would stop short of calling it “space age”. The company has opted not to follow the designs established by Toyota and Nissan, and it is definitely a lot more traditional looking than the all-electric Leaf. Nevertheless, the Volt features plenty of stylish features and design touches, and even comes with USB ports inside. The Nissan Leaf is clearly hot on the heels of the Prius market, with a host of features and a decidedly minimalist interior that offers just enough high-tech touches to keep modern users pleased. For instance, gear changes are handled by a big blue LED-equipped knob in the center console, which comes with a button that you press to put the car in “park”. There is also another button on the dashboard that shows you how many miles you still have left before the battery runs out, and still another button that presents you with the location of the nearest charging station. Which hybrid car has the best accessories?